Everybody wants to have beautiful face forward, but many people don’t quite know how to get clear skin, and today there are simply so many methods and products out there that can help us achieve and maintain clear skin, sometimes we just don’t know which ones to buy and what is the process that is necessary for us to follow to be able to maintain good, healthy and clear skin, but worry not because here you will be able to find out why. We have compiled many tips here for you to follow so that you can be some of the people out there that is able to get healthy and clear skin. 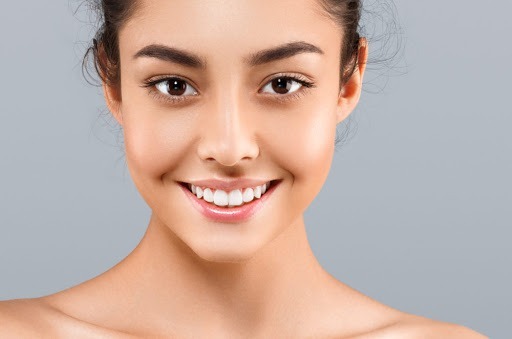 These are simple ways that can be done in a matter of few minutes on a daily basis and you will feel your face get refreshed and nourished as you are done doing them and you will be able to attack the day with full confidence to find success, so without further delay, here are ways on how to get clear skin – top 10 tips – part 1. Number two on the list of how to get clear skin is to don’t skimp on sudsing, you need to wash your face for about 30 to 45 seconds, and use a dime-size amount of cleanser and that is exactly how long it takes to clear dirt and oil off your face. But there is also a chance that you are washing your face all wrong so do some research on how to actually wash your face the right way. 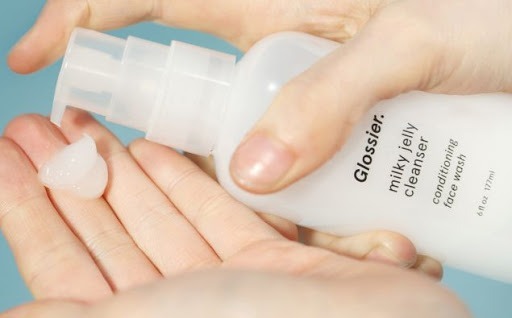 The third and it is one of the most important ways on how to get clear skin, is to wash off all of your cleanser. Most people who cleanse their face, may not fully wash off all of their cleanser, and this could be the major reason on why you’re still having acne, you need to rinse your face with tepid water until your skin feels clean and smooth and doesn’t feel slippery or soapy anymore. Be gentle on your face! Your face has sensitive skin and scrubbing too hard will leave your skin rough and red. You should love and massage your face, not fight with your face. Your face can easily be inflicted with irritation if you scrub too hard, even with a washcloth, so always be gentle, use your hands instead of a washcloth, but be sure that your hands are clean otherwise you’ll be transferring dirt and oil right back to your face and that will cause acne. The next thing on how to get clear skin is to suds up your cleanser in your hands first before you start rubbing it on your face. This must be done to help activate the ingredients and it will make more effectives when you apply it to your face, you’ll be able to get the nutrients and vitamins into your face while effectively removing dirt and oil that is stuck on your face and remember to rinse it off. Next thing that you need to do on how to get clear skin is to remember that you need to wash in the morning, since you need to wash at night, it is the logical thing to do to wash your face in the morning as well to clear off the dirt and oil that is stuck on your face. Your pillow over time will absorb a whole lot of dirt and it will get transferred to your face, so if you don’t wash your face in the morning, expect an acne or two to appear. One of the best things to get to get clear skin is a cleansing brush. Because sometimes even after you wash, there will still be makeup left on your skin, and that buildup will eventually lead to breakouts that you will hate to have on your face. So to avoid this, get a cleansing brush and this will really help you remove any of these makeup that is left behind and keeps your face 100% as clean as possible. Now there are many people who agree washing your face twice a day is the best, but there are also some who are washing their face even more than this, and this isn’t even good in the first place because it will cause more problems that good. If your skin still feels oily, instead of washing again, because doing this can make your skin produce even more oil, try an astringent after cleansing. One of the funnest thing to do to get clear skin is to exfoliate and one should never forget to exfoliate because it is the most important and most beneficial thing to do for your face. Removing the layer of dead skin cells and dirt that are blocking your pores and your skin’s natural glow. In addition to that, you will also feel a whole lot more refreshed, you can literally feel the air blowing on your face. This may seem redundant but washing before you exfoliate can change the game, because you are essentially removing the dirt and oil first before you are exfoliating, do this so that the exfoliator can focus on exfoliating your face, and this will improve its effectiveness overall. If you’re going to do something, do it right and this is the right way to do it so you can get the most out of it. Everyone wants to put their best face forward. So what are the ways on how to get clear skin? Here’s the top 10 tips you need to know! There is something quite important that you can learn about this, people try hard to take care of their face to ensure they have flawless skin, but what about their health? Health is one of the most important things that we need to take care of and what is more important than getting medical insurance that is the cheapest in Malaysia? PolicyStreet.com has the solution for you. 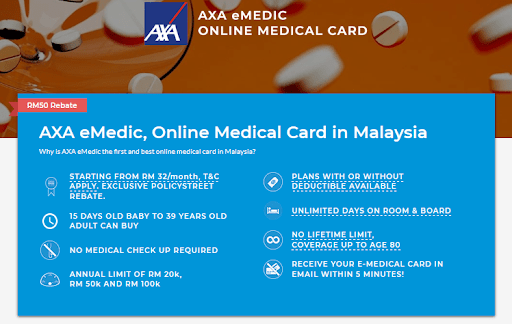 AXA eMedic is offering the cheapest medical card in Malaysia that is starting from RM 32/month, visit PolicyStreet.com to find out more!